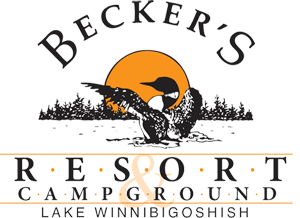 If wide and spacious waters are what you’re dreaming of for your next Minnesota vacation, a Becker’s resort stay on Lake Winnie is what you’ve been looking for. Low motorboat traffic makes Lake Winnie the obvious choice for all of your favorite lake activities, be they swimming, canoeing, fishing, sailing or waterskiing. The widely undeveloped land on Lake Winnie is truly something to appreciate. Almost everywhere you look is the natural beauty and wildlife of this unique Minnesota lake. 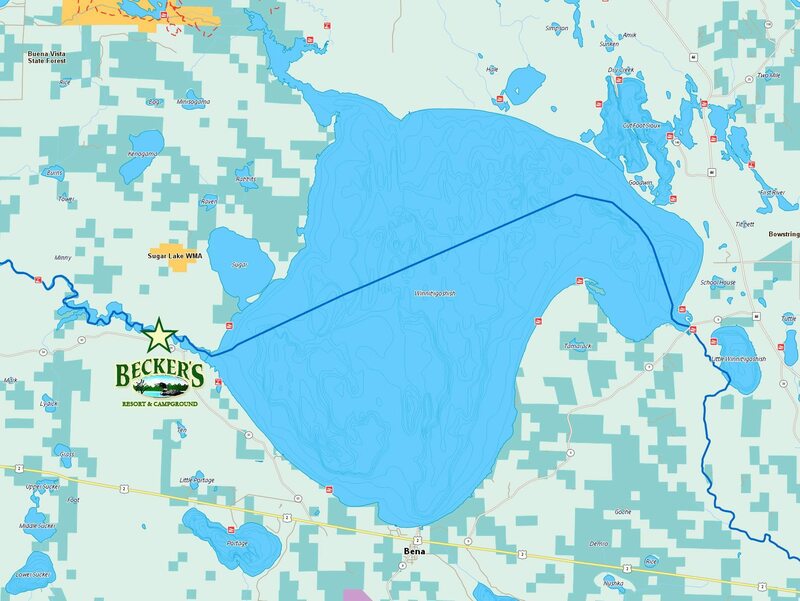 Lake Winnie is also very accessible, 20-40 miles from many landmark cities in Northern Minnesota. Click the image to zoom in or download a detailed MN DNR Lake Map PDF.